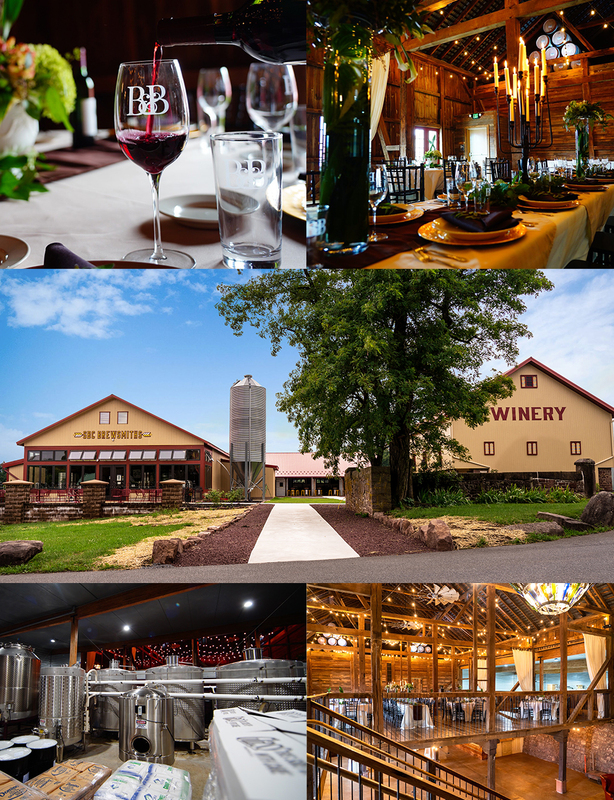 PA’s original winery, brewery, cidery and distillery is the premiere destination for all who appreciate hand-crafted beverages, foods and historical properties. The Historic Barn offers the perfect setting for private events year-round. Tours of the beverage production and sampling give a glimpse of processes used to create the Estate’s wine, beer, cider and spirits. 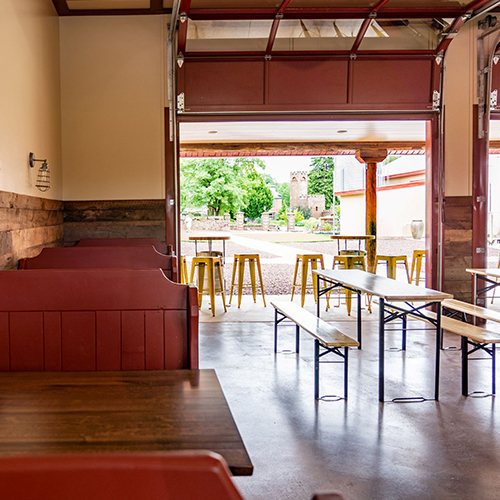 Complete a visit with casual dining at the Taproom and take home chilled beverages from the Beer Coop. Barn & Barrel crafts new memories from the estate’s rich history. Savor the rustic charm of the beautifully renovated historic barn overlooking our award-winning full production winery. The first floor's stonework bar area and preserved second-floor event space features original wooden beams, flooring and metal roofing, designed as the perfect showcase for weddings, business meetings and family celebrations. Book your next event at the Barn & Barrel by visiting the Group Page or take a virtual tour on Wedding Wire. Savor the History • Over the course of 200+ years, Mount Hope Estate and Winery, located in Northern Lancaster County, has grown from a private residence to a flourishing historic estate featuring spectacular entertainment. Placed on the National Register of Historic Places in 1980, Mount Hope now hosts something from everyone year-round including outdoor festivals, indoor theater, a Victorian wine shop, and more. 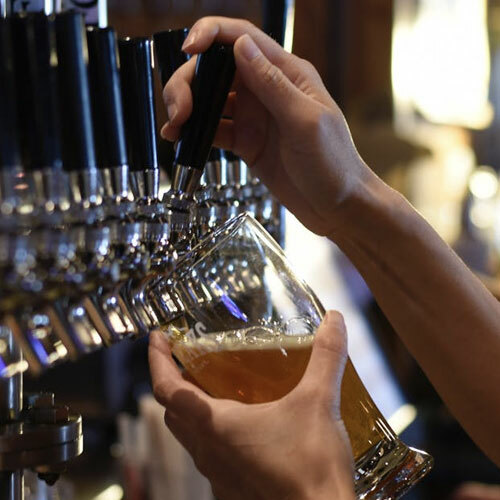 The Taproom at the Barn & Barrel, nestled between the brewery and winery, is the perfect gathering place to enjoy craft beverages produced on the grounds of Mount Hope Estate & Winery. Award-winning Swashbuckler Brewing Company beers and Mount Hope Wines are on tap to enjoy by the glass and in flights. Treat your taste buds to a juicy glass of Lancaster County Cider or a creative craft cocktail made with small batch spirits produced by Spirits Distillery, Inc. A changing menu of tasty pub grub is also available. Take a seat inside, or during the warm months, enjoy the outdoor courtyard next to the Victorian era barn. Join us at the Taproom at the Barn & Barrel and, together, we’ll craft some memories. Hosting a get together? 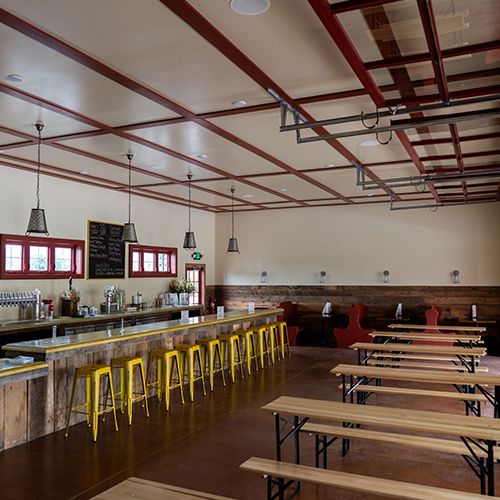 The Taproom at the Barn & Barrel is perfect casual setting for all types of private special events from showers and birthday parties, to rehearsal dinners and company gatherings. 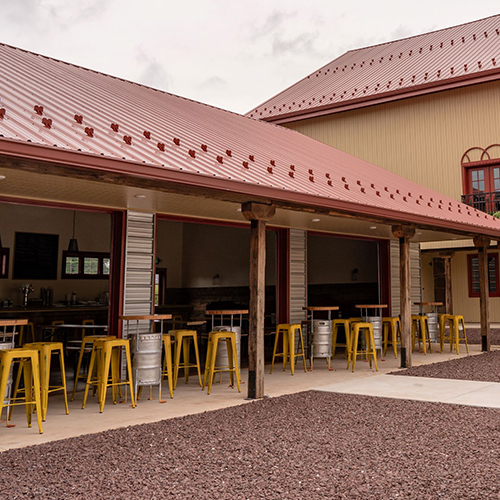 The Taproom can also be reserved with larger events hosted inside the Barn & Barrel next door. Let us help you create the moment memorable occasion for your family, friends or co-workers. Please continue to check back as we update our upcoming events. The arrival of the full moon brings a reason for a monthly celebration and to shine light on unique talents as ever changing as the night sky. Featuring: Chris Coccia, Jesse Blanco and Jennifer Espenshade! 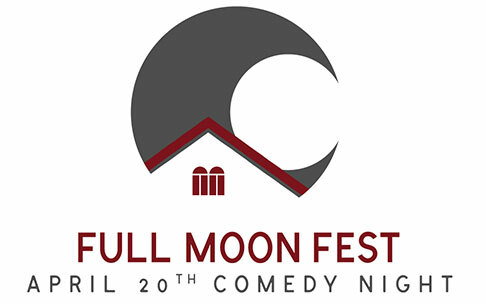 For more information and tickets, please visit PaRenFaire.com/FullMoon. 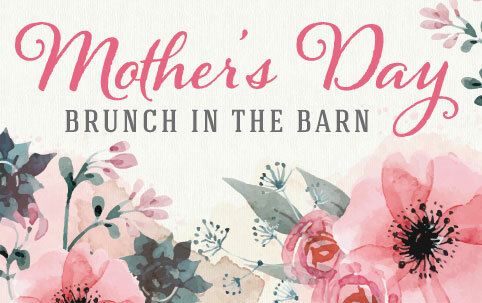 Surprise mom with brunch at the Barn & Barrel at Mount Hope Estate & Winery. Treat her to breakfast items, a carving station, desserts and more amidst the rustic charm of our Victorian era barn. Our estate craft beverages will perfectly complement the meal and make this Mother’s Day a memorable experience. Menu includes: A variety of breakfast selections, fresh salads, a carving station with ham and turkey, assorted sides and desserts. The arrival of the full moon brings a reason for a monthly celebration and to shine light on unique talents as ever changing as the night sky. Featuring: Johnny Lee Dam, Alan Massenburg and Jennifer Espenshade! Instead of howling at the full moon, grab your friends, share a chuckle and be reminded why laughter is the best medicine! Featuring: Corey Alexander, Troy Moore and Jennifer Espenshade! Have a questions for the Barn & Barrel? Use the comment box below or visit us on Facebook.